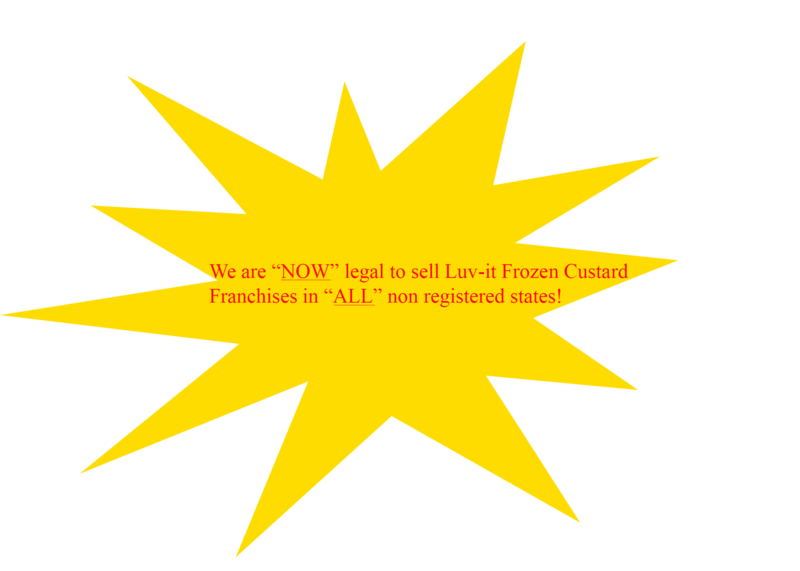 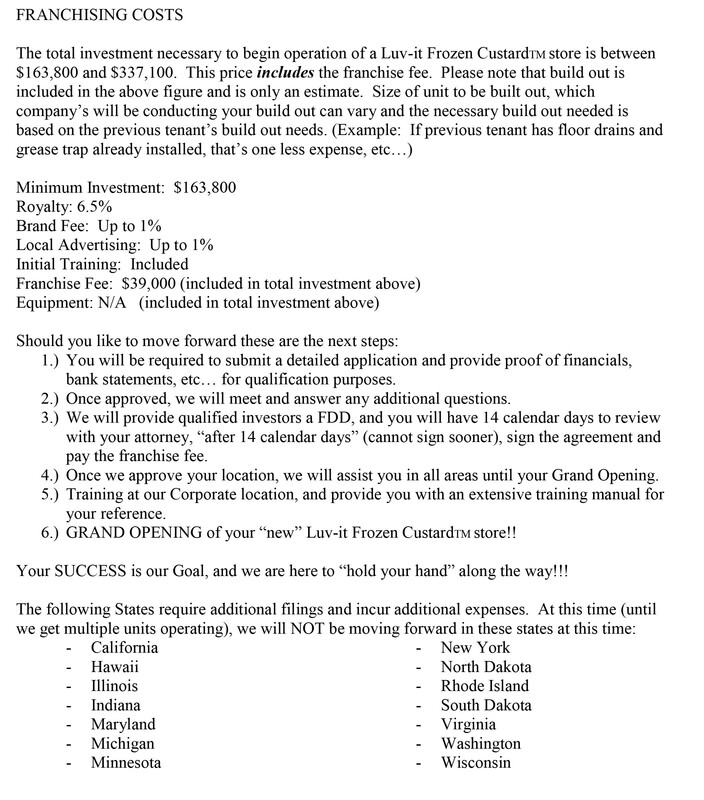 Luv-it Frozen Custard will only be franchising in NON-REGISTERED STATES at this time, due to additional expenses in registering. 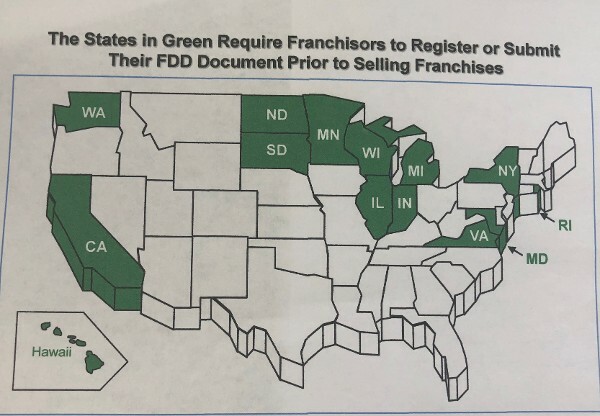 Above is a map, the GREEN STATES are additional registration States. 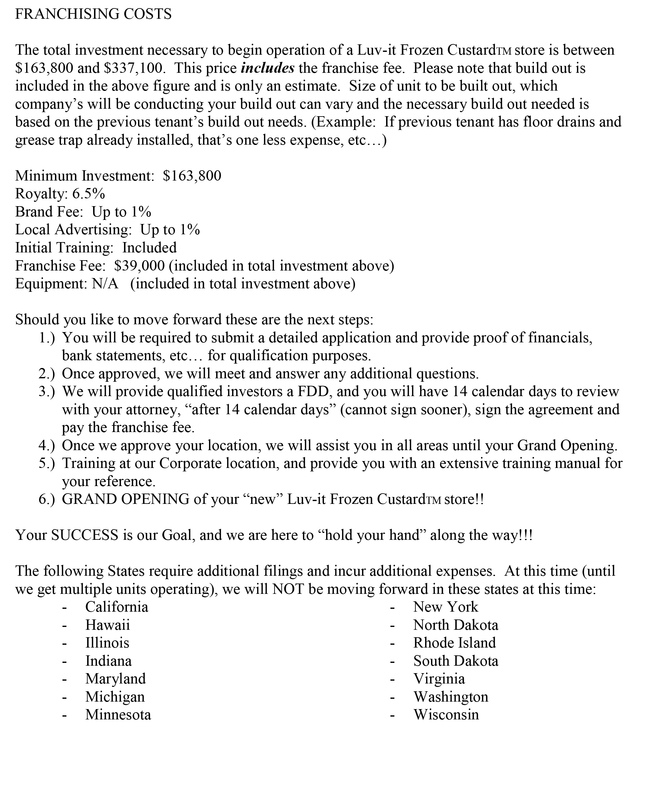 We are NOT allowed by the FTC to answer questions or send out any information to individuals living in these states mandated by the Federal Trade Commission.